Bay boaters can help keep whales safe during the spring migration season by staying at least 300 feet away. That's about the length of a football field. 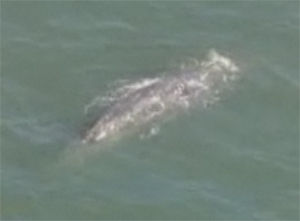 Gray whales and their calves are migrating up the California coast. Some have recently swum through the Golden Gate and into the Bay, close enough to be seen from shore. If you're lucky enough to see a whale, please keep a safe distance. Read more about how boaters can help keep whales safe in the Bay. 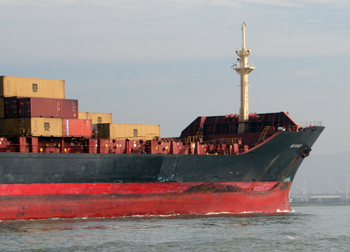 Baykeeper recently advocated for stronger protections on harmful pollution from large ships. Pollution from hull coatings, underwater hull cleaning, wastewater and ballast water from vessels over 79 feet needs to be tightly regulated, Baykeeper told the U.S. Environmental Protection Agency (EPA). And a recent proposal for implementing the state Marine Invasive Species Act would encourage large ships to clean hitchhiking invasive species off their underwater surfaces while sitting in California waters. We told state regulators that the cleaning needs to happen out-of-water whenever possible, and use nontoxic anti-fouling systems. Read more about Baykeeper's work to protect the Bay from big ship pollution and invasive species. Can one boater make a difference? A weekend boater flushing untreated sewage into San Francisco Bay produces the same bacterial pollution as 10,000 people whose sewage passes through a treatment plant. 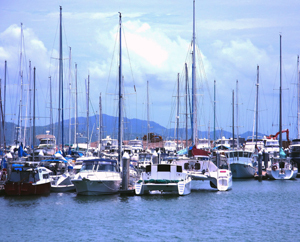 One marina operator can make a big difference, too. At Sausalito's Galilee Harbor—a co-op affordable-housing marina owned by its tenants—every boat is connected into the city sewer system. There's more in Baykeeper Executive Director Deb Self's March column for Bay Crossings newspaper. Read more about boaters and marinas taking leadership to protect the Bay. Baykeeper recently took action on two different fronts to win better controls on the Bay Area's largest source of mercury pollution, the Lehigh Southwest Cement Company in Cupertino. Lehigh emits approximately 435 pounds of mercury into the air each year. Much of it falls back down and gets washed into the Bay or into storm drains and waterways that lead to the Bay. 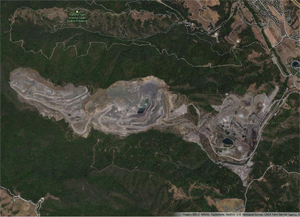 We warned Santa Clara county planners that Lehigh's plan to eventually shut down its limestone mine could pollute the Bay with mercury and other toxic metals. Read more about watchdogging Lehigh's plans for mine closure. Baykeeper also urged the Bay Area Air Quality Management District to put stricter controls on Lehigh's air pollution, such as imposing a fine if the company doesn't make required reductions by the deadline. Read more about improving controls on Lehigh's aerial mercury pollution. Join Baykeeper and other environmental organizations for a celebration of San Francisco Bay at the Berkeley Bay Festival on April 14. 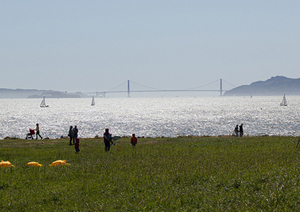 This free event at the Berkeley Marina will feature educational activities, music, sailboat rides and much more!